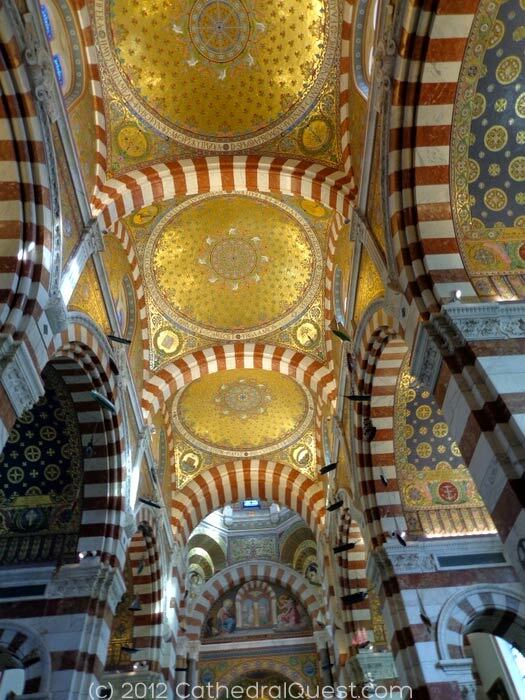 Photographer, Bernard Ddd, captured this beautiful shot of a Notre Dame de la Garde golden cupola, of which there are three in this 1864 Catholic basilica located in Marseille, France. In this example of a mandala on a ceiling, we see that the symmetrical floral patterns appear without linear delineation. The only lines appear in the outer bands and the center ones. 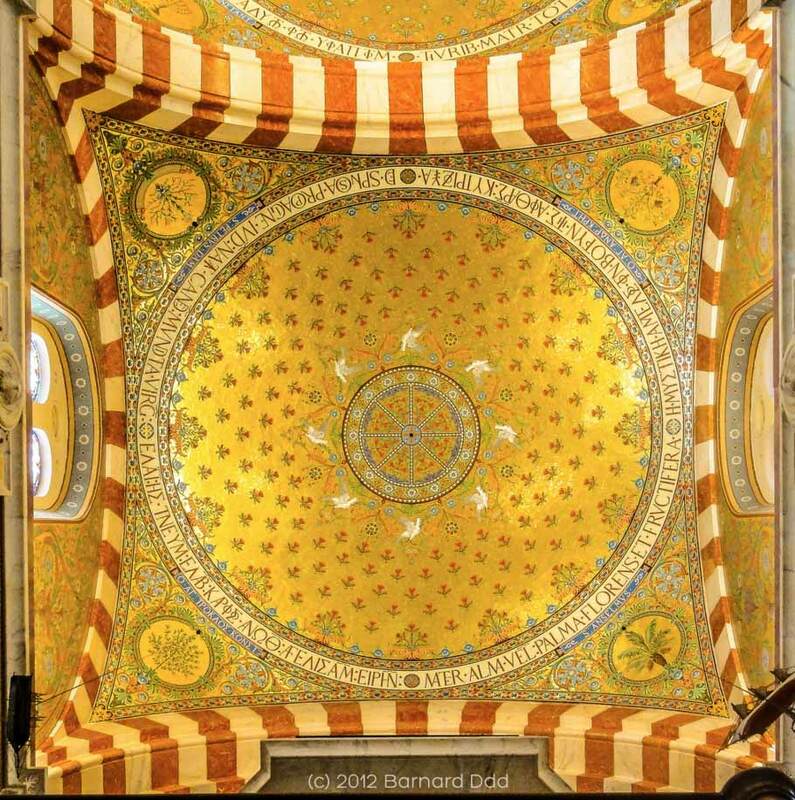 Looking up from the nave, there are three cupolas which are covered in very rich mosaics dominated by gold and blues that represent the power of God. The first cupola represents the Patriarchs, and the second Moses and the third cupola the Prophets [today’s MotD]. Today’s exquisite MotD shows the spiritual side of mandalas and how we can use them or color them as a meditation tool to connect with whomever we associate with as The Divine.